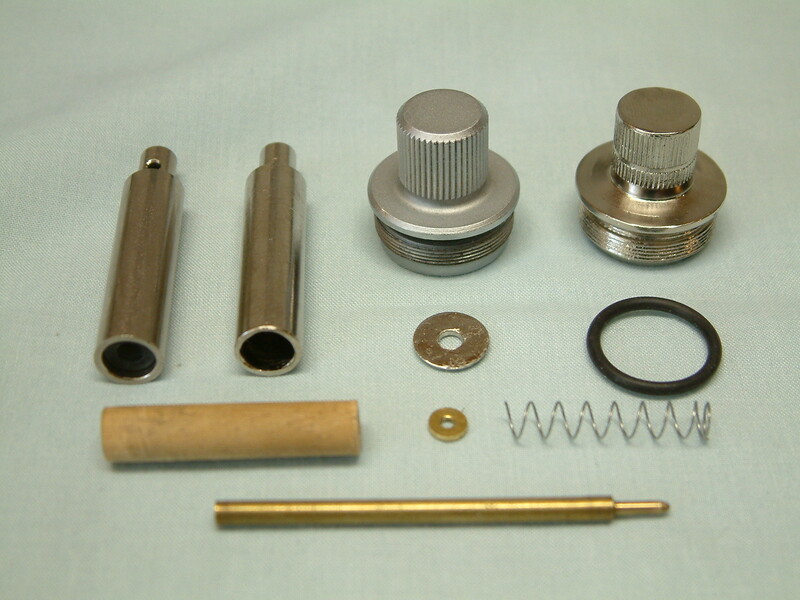 Another view of the parts. The black O-ring goes in the groove above the threads to prevent the plotter vibrations from unscrewing the pen top. The original ball point pen cartridge is also shown in this picture.